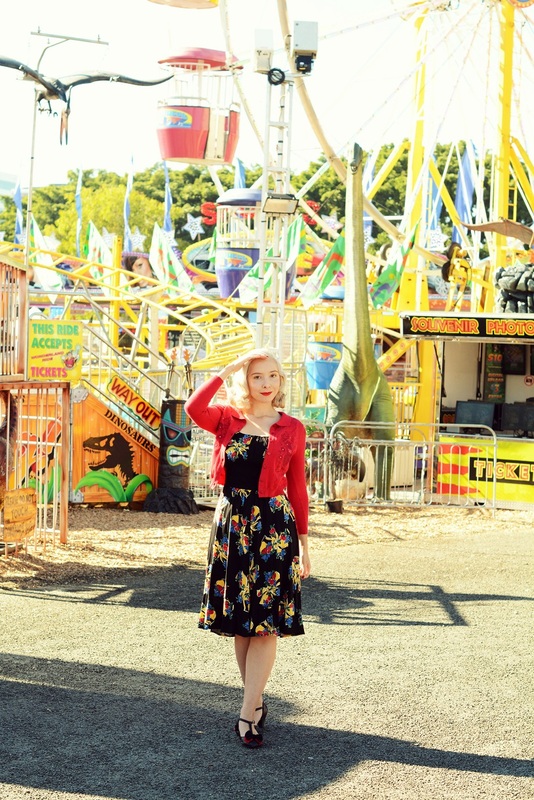 Vintage at Heart: The Ekka! August - my favorite month! You can smell spring in the air and all of the pink flowers are in bloom, but best of all is that it's Ekka time. Since it's spring the mornings are still quite chilly but the days are very hot - like it's summer already so I went with a simple, comfortable outfit - a light cardigan, a rayon dress and some comfortable shoes for walking around in. Oh love places like this, amazing! Beautiful photos, looks like you had a lovely time! I haven't been to the Ekka for a very long time! Super cute! Love the fun backdrop! 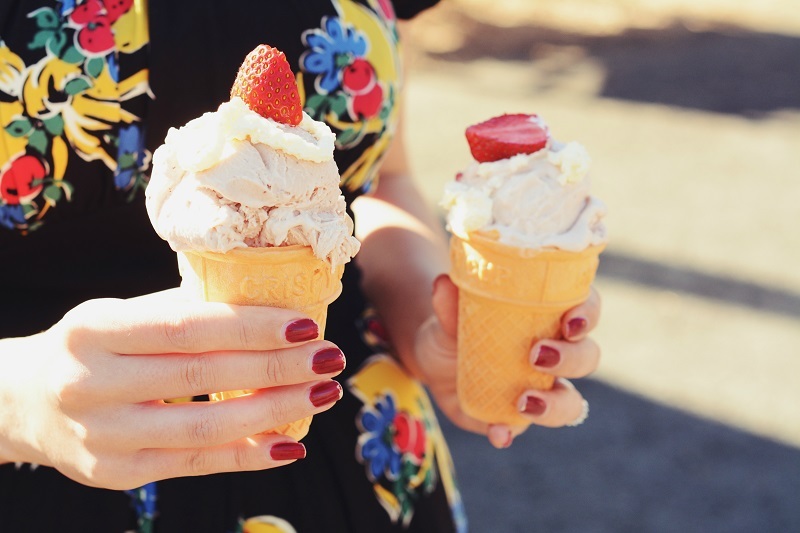 cute dress and the ice cream looks good. I love, love, love your Trashy Diva dress. I have been drooling over their clothing for a long time now! You look so stunning, as always. I love the splash of colors in the photos. These are the best photos! Your dress is perfect for the carnival! These photos are magical! 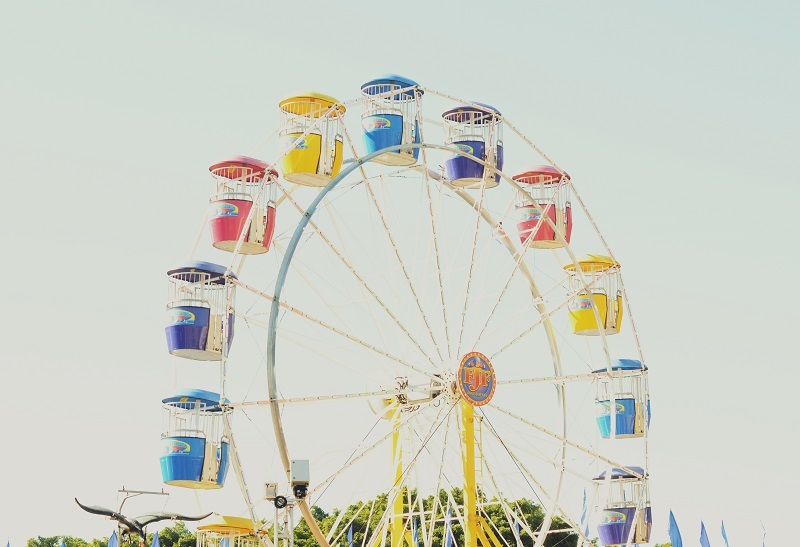 I adore carnivals and all their bright colors. Your outfit goes along perfectly! Such a contrast from your previous post! I love it! Love your dress and pictures! That's such a fun looking place!